Miguel Milá (Barcelona, 1931) began to work as an interior designer in the architecture studio of his brother Alfonso and Federico Correa. It was the end of the 50s, a time of crisis. Industrial design was barely known within our borders. 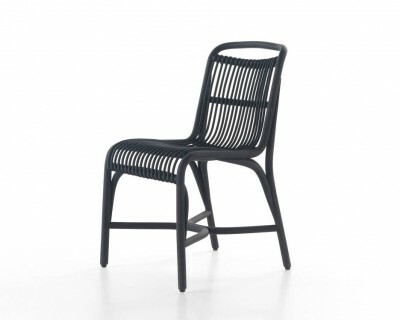 The shortage of objects, means and raw materials inspired him to start designing his own pieces of furniture and lamps. 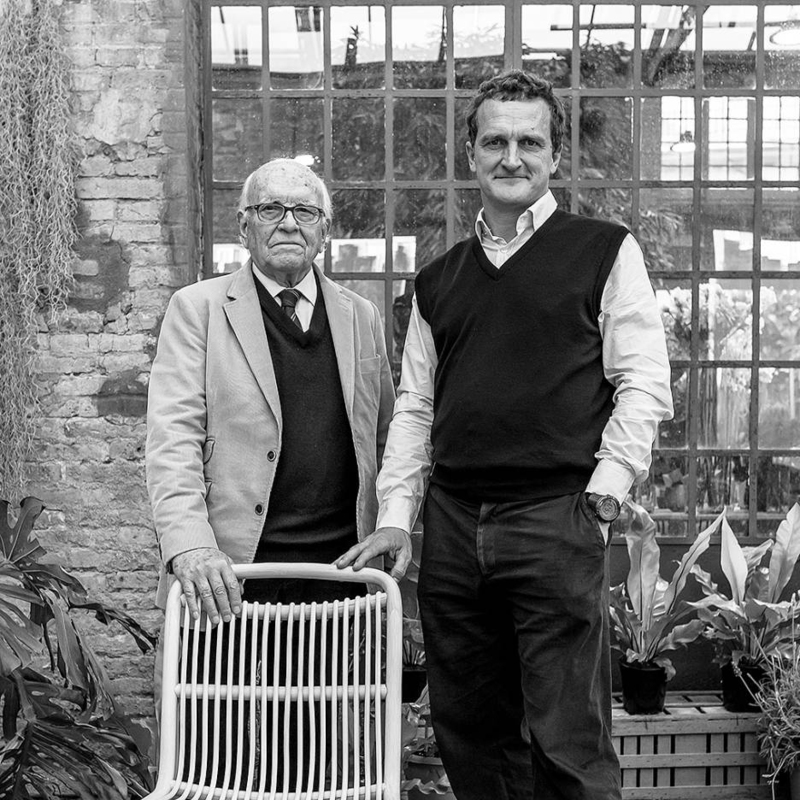 Soon he established his own company, Tramo, together with two architects, who also happened to be his friends: F. Ribas Barangé and E. Pérez Ullibarri. He did not know it yet, but he was already directing his steps toward industrial design.Many projects saw the light in the age of Tramo, short form for “Trabajos Molestos” (‘annoying works’) or “all those things little brothers are forced to do”, such as the previous versions of the popular lamps TMC (1958) and TMM (1961), now turned into timeless classics and still in a good commercial shape. Miguel Milá has played a fundamental role in the history of Spanish design. His work has basically focused on bringing tradition up to date: many of his pieces have gone beyond the circumstances under which they were first produced and feel as contemporary as if they were fresh new, mainly because “they were born in a time when rigour and honesty were highly regarded”, Milá states. In 1987, he was awarded the first Premio Nacional de Diseño and later, in 2008, he received the Compasso d’Oro in appreciation of his long career and great contribution to the promotion of Spanish design abroad. Born and bred in Barcelona, Gonzalo Milà (1967) started working in his father’s studio in 1988 while he was still studying his Bachelor of Architecture. When working in small-scale projects which allowed him to tightly control every step of the process, he developed a taste for industrial design, so he decided to enrol in Elisava College. In 1994, he set up the design studio Inés-Milà with Juan Carlos Inés. Together they created pieces such as Pranha, a therapeutic lounger; Sillarga and Sicurta, two stone chairs installed at the Bogatell beach in Barcelona; Teula bottle rack; and Balensiya rocking chair. Later he founded together with Miguel and Micaela Milá the studio Milá Diseño. Some of their most remarkable projects are the refurbishment of an antique apartment in Gaudi’s famous Casa Milà (La Pedrera) to make it suitable for guided tours and Rama, a streetlight that was awarded the ADI-FAD Delta de Plata in 2001. In 1999, Gonzalo joined the Urban Division of Santa & Cole in order to develop new products. Since 2001 he leads his own studio where he produces street furniture, indoor and outdoor lighting, accessories and projects promoting the integration of wildlife into the city. He collaborates regularly with companies like Santa & Cole, Escofet, Bover and Viabizzuno, among others. He is strictly essentialist and his projects are human, close and based in the key fact of utility.